I am very sorry that this is so late, but after several unsuccessful attempts at posting it yesterday, I decided to perform some much needed maintenance to my computer and try it again today! Announcing the winners of the 2nd Right Place Photo Caption Contest of Season Two! Presenting the top 30 captions for this picture from AP Photo/Martin Meissner via Yahoo! -- "Another ruined passport photo, Moishé! Always with the meshuggeneh faces!" -- I'm sure tired of kissing the you know what of the French. 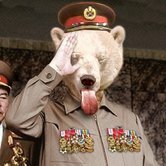 -- Mr. Polar Bear expresses his thoughts on a 2008 contest between Hillary Clinton and John McCain. -- This poor polar bear went to lick its tail nub... and missed. -- "Hey, PETA... I like living in a zoo!" 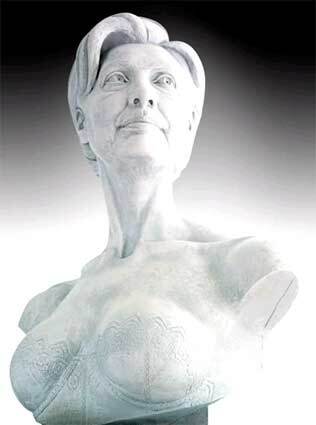 -- After viewing the Hillary Bust: "There are some things even a polar bear just won't do!" 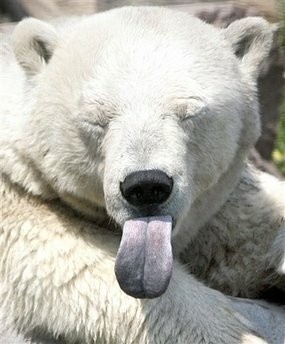 -- Seems like polar bears have their own message to send Al Gore! -- "Ugh! I'll never read Glenn Greenwald's blog again!" -- "What would you do for a Klondike Bar?" "Well, I sure as hell wouldn't recommend eating peace activists. Ugh! Too much patchouli aftertaste." -- Tune in tonight for Animal Planet's An Inconvenient Tongue. -- Under a $12 million park services grant, researchers teach 6 bears how to NOT lick aluminum telephone poles. -- The very rare "aardbear", native only to photoshop pictures of ANWR. -- And with one final "slooooop" the bear finished off the last bit of Al Gore. -- "Man, that last penguin was a tad over-ripe!" -- One reviewer of An Inconvienient Truth was not impressed. #10: "Oooh! That last hiker tasted terrible! Don't eat the 'green' ones!" #9: Actually, for some, it only takes one lick to get to finish a Tootsie Pop! #8: "Please take your receipt. Thank you for shopping at Polar Mart." #7: Not even the Coca-Cola polar bear likes new Coca-Cola Blak. "Hey, Al! Pull my tongue! I'll show you some greenhouse gasses." #5: How many licks does it take to get to the chewy center of an igloo? #4: Let's see... how many different ways can one imply that Gene Simmons had carnal relations with a polar bear? #3: Bob's tongue was never quite the same after the kids talked him into licking the North Pole. #2: "Ewwwww!!! I don't like this new Ben & Jerry's flavor: Bill Clinton's Vanilla Cream."